Now that I am retired, I, like everyone, need to keep busy. There is nothing wrong with lounging around for a day or two and , in fact, that’s one of the great perks of retirement. However, you can’t really do that day in and day out forever, especially when you are as young as I am. You need to plan things to do. Your mind and body must be challenged to stay healthy. If not, you will likely become depressed and maybe even begin to think retirement isn’t for you. God forbid!! So how do I plan to stay busy? Well, while reading Ernie Zelinksy’s book How to Retire Happy, Wild, and Free, I came across his mind mapping exercise. I had already started a short list of things to do, so I adapted his technique to my outline style list and just went crazy expanding it. I have headings for daily routine, work (not necessarily employment), leisure, travel and miscellaneous. I even have a section for things I never want to do again, like wear a tie! This is kind of an idea register. Things I want to do, try or learn. Some may become hobbies or businesses, others are just for self improvement. They are here because I can begin researching or learning now without a full commitment right away. Build guitars. If nothing else just for me or to sell casually. Even if I only build one or two it would be fun. Wilderness survival. I want to take a class in survival skills. Probably a 3 day kind of thing. More practical skills than making arrowheads and tanning hides. Graphic arts course. If I could find a course that teaches the basics, I would take it. Photography. Again, a short course that gets into the basics would be cool. Guide school. I still haven’t given up on the idea of being a fishing guide. Guide school would be fun and if nothing else a good personal growth thing. Stand up paddling (SUP). I want to learn to do this and buy a board. This will hopefully lead into the next bullet. Surfing. I want to learn to surf. I likely need to lose a little weight, but once that is done I will look into lessons. Fishing Video. Shoot some Survivorman style fishing videos for the blog just for fun. Tennis. An easy, cheap way to get outside and get a little exercise. Only need a ball and rackets. Motorcycles. I may not be able to get Jen on one, but I would love to get a nice cruiser and start riding. We should take a course and see where that goes. Build a potato gun. Self explanatory. Just for fun. That ought to get you going. Having stuff to do that you enjoy, find fulfilling and satisfying and is in line with your personal values is important to a happy retirement. Some folks might want to climb mountains, others read the classics and still others write a book. Its really up to you. Your ideas don’t need to be stressful or require tons of money, they just needs to get your motor revving, so to speak. Start yours today, and if you aren’t planning the financial side yet, start one for that too. I love mind mapping, it really helped me during my thinking and brainstorming processes. I use mind mapping software Seavus DropMind™ because of the different integrations and import/export functionalities which are great for managing my work. 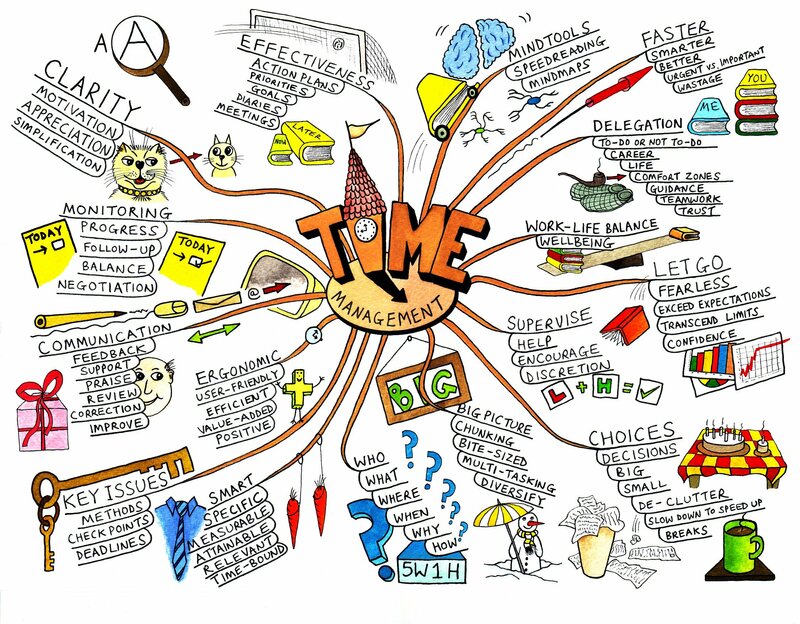 I liked this process of mind mapping and I remember reading Ernie Zelinski’s book a few years ago. I was planning a five year countdown to retirement and now that I am nine months in, I think I will re-read that book. Thanks for the reminder! That’s what I’m here for 😉 No, that’s a great book. It’s one of the things that convinced me to really retire and pursue the things I wanted to do instead of continuing to work. Best decision of my life. It’s never too early to start planning. Yeah, but why not. I’ve got time, right? Sorry, but this isn’t the real world of retirement. Not everyone wants to build or learn to play an instrument; or learn a new language. Most volunteer opportunities offer menial tasks and are not challenging. You can’t work forever, but some retirees need to tell the real story of life after work. I am searching, but everything posted is the same cookie cutter appprach. Those were clearly things that appealed to me and not a road map for you or anyone else to follow. You sound to me like too many retired people. You’re not happy in retirement. You’re bored and searching for something to make you happy. Retirement, in any of it’s forms, doesn’t make you happy. If you weren’t generally happy before retirement, you probably won’t be after either.